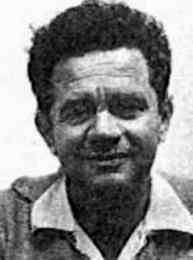 Zerubavel Gilead (1912-1988) was born in Besarabia. He moved to Odessa to escape World War I and in 1922 the family moved to Kibbutz Ein Harod. During Israel's War of Independence, Gilead was a culture and information officer in the elite Palmach high command. He wrote the Palmach's anthem in 1942 and was the editor of The Book of the Palmach (1953). Gilead began to publish stories in 1929 and poetry in 1931. He published articles in most newspapers and magazines in Israel and was an editor at the Hakibbutz Hameuchad Publishing House. Gilad was awarded the Kugel Prize (1961), the Aharonovich Prize (1971), the Prime Minister's Prize (1976), the Fichman Prize (1978) and the Bialik Prize (1981). Individual poems have been published in: Danish, French, German, Hungarian, Russian, Serbo-Croatian, Spanish.